We have a video to show you the whole process here. 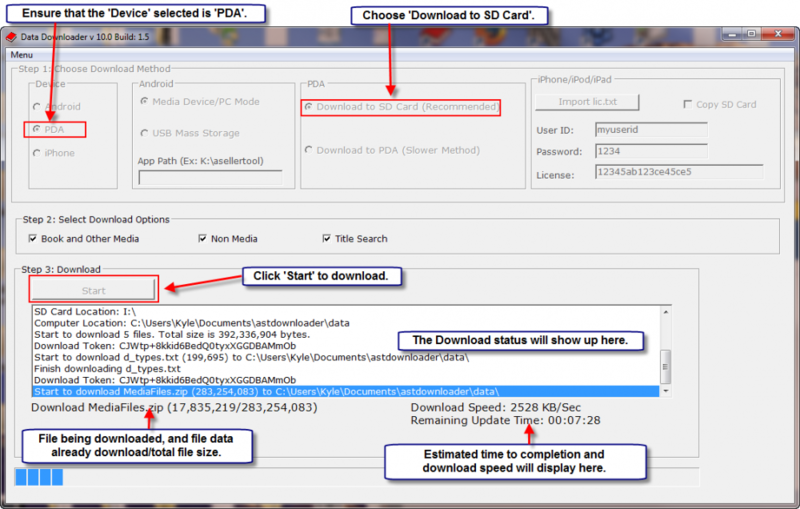 If it is a new SD card or from another PDA, you need to setup your SD card with your current PDA before you can use PC downloader to download the compatible database for your current PDA to use. 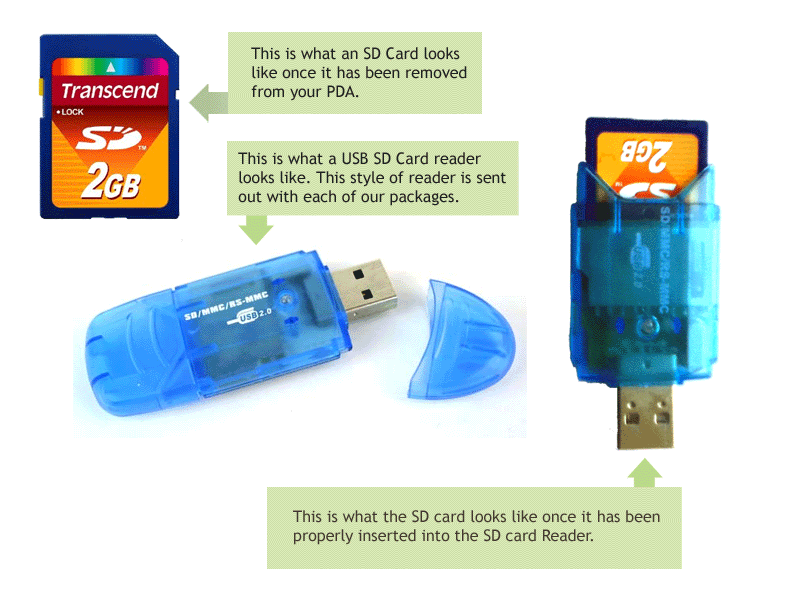 You insert the SD card to your current PDA and perform a soft reset so that the SD card will contain your PDA’s information. Full Instruction is here. Take the SD card out of the PDA. The card is underneath a Socket CF (top-mounted) scanner on the PDA. You need to gently pull the scanner out. Do not use force or bend scanner, as it will cause the scanner to be wobbly after a few times. After you pull out the scanner, you will see the SD card. Push the SD card down, then release. The SD slot is spring-loaded, so this will pop the SD card out from the PDA. 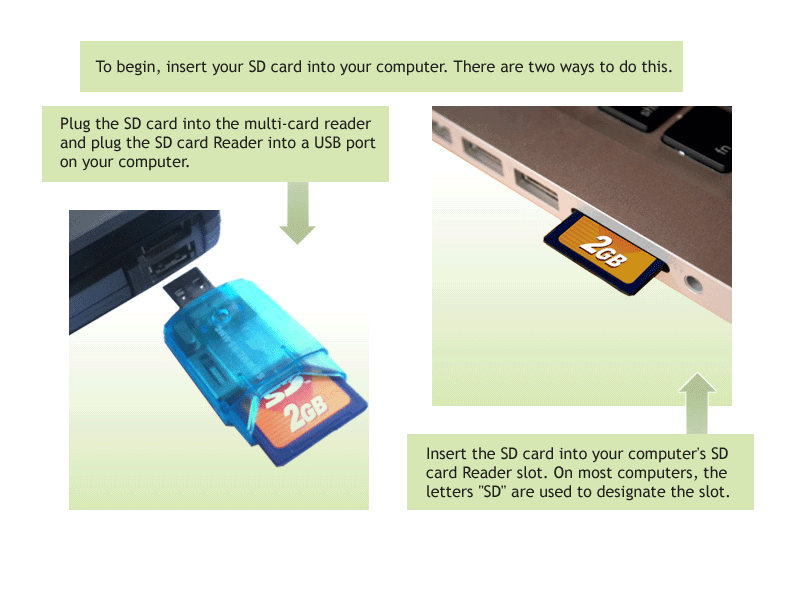 Insert the SD card into your computer’s SD/MMC slot or a USB SD card reader. Insert the USB SD card reader into the USB port. 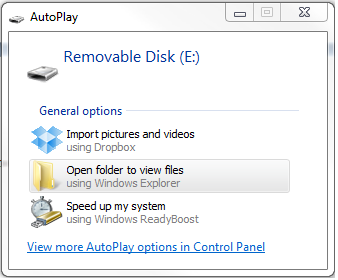 A popup should display on your computer that the SD card is detected. Start PC Downloader on your computer. 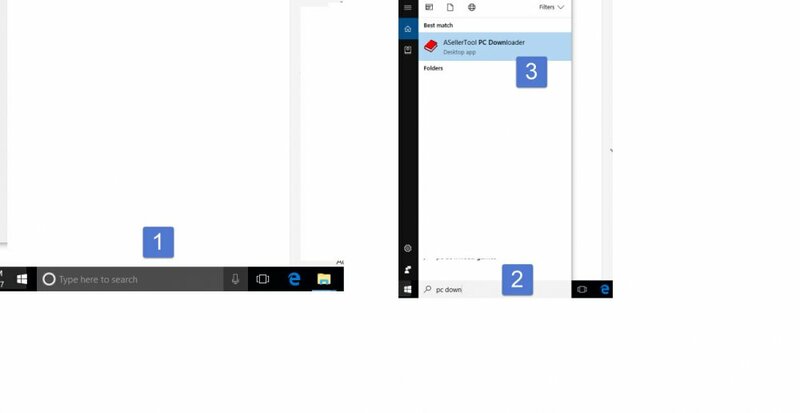 Click search bar on the screen (1), type “PC Downloader” (2), and click the “ASellerTool PC Downloader” (3) from the list. After PC Downloader is running; please follow the steps below. In Step 2, select the files you wish to download. We recommend you check mark Books and Other Media and Non-Media. If you also scout for pre-ISBN books, then select Title Search. Step 3, click Start to initiate the download. When the download finishes you will receive a popup message stating the download is complete. Insert the SD card back into the PDA by pushing it down to the SD slot. Soft reset the PDA by pressing the stylus into the reset hole on the back of the device, above the battery cover. Alternatively, you can open the ASellerTool program, then tap Menu -> Soft Reset. When the program runs again, you can scan several familiar items to make sure the price is correct. !It is important to always soft reset the PDA and tests the data after a download so our program can read the new database correctly. We also recommend alternating the cards you use to download, and carrying multiple SD cards when out scouting (see Setting Up Your SD Card).